This past weekend Quinnipiac were swept at home in back to back conference games for the first time since February of 2014. Both Cornell and Colgate were the teams that swept Quinnipiac the last time in 2014 and as well as this past weekend. It was a costly weekend that saw the Bobcats drop from 3rd in the pairwise to 16th. The team now heads out to an important New York capital district road trip against Union and RPI to try to get back on track. With that said let's take a look at what some of the future Bobcats did over the past week with their respective teams. Victor Czerneckianair is the second leading scorer for the Selects Academy U-15 team at the South Kent School. The Southington, Connecticut native has 34 points (17 goals, 17 assists) in 26 games played for South Kent. 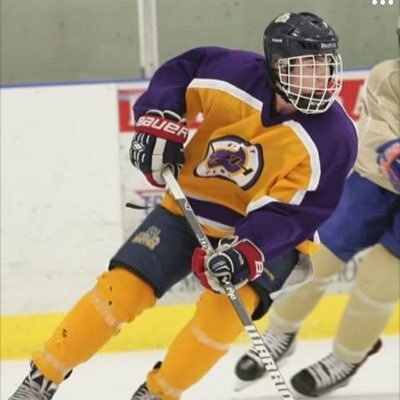 His South Kents U-15 team is ranked #4 in the country according to MyHockeyRankings. After almost a month in between games, goaltender Justin Robbins got back in action for the Chicago Steel. He made 32 saves in a 6-5 shootout loss to the Green Bay Gamblers on Saturday. In two games played he is 0-1 with a 7.20 goals against average and a .786 save percentage. The rest of the USHL commits had a quiet weekend on the stat sheet. 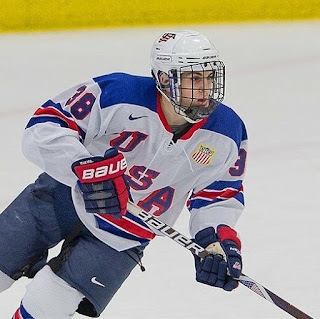 Defenseman Domenick Fensore is taking part in the 2017 World Under-17 Hockey Challenge in British Columbia, Canada with the United States National Developmental Program. The elite hockey tournament features teams from across the world such as Russia, Finland, Sweden and the Czech Republic on top of the United States and Canada. For the season in 11 games played for the U-17 team, Fensore has 5 assists. Matt Cassidy had one assist this past weekend for the Brooks Bandits. In 12 games after crossing the border he has 8 points (4 goals, 4 assists) with one of goals being a game winner. Ethan De Jong of the Prince George Spruce Kings had one assist this past weekend. The 1999 born forward has 23 points (8 goals, 15 assists) in 22 games played and is averaging 1.05 points per game. Jacob Quillan had a goal this weekend for the Steel Subaru Major Midgets of the NSMMHL. He is now tied for the team lead in scoring with 18 points (7 goals, 11 assists) and overall is tied for 8th in the league in scoring. Quinnipiac saw his older brother Nick Quillan this past weekend in the Colgate game as he plays for the Raiders. Austin Spiridakis picked an assist this weekend for the St. Albert Tire Warehouse Raiders. In 11 games played he has 4 points (2 goals, 2 assists). Connor Tait had one assist in the New Jersey Hitmen's 5-1 win over the Syracuse Stars on Sunday. Tait now has points in three of his last four games. In 18 games played he has 5 points (3 goals, 2 assists). I wasn't interested much in ice hockey untill just recently. and reading more about a ice hockey hero only fuels to it. Hope I'll get enough time to catch the next match! !